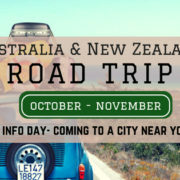 CCM are back on the road again and coming to a city near you! 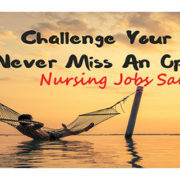 Whether you’re brand new and just sussing out the international health world or you’ve already been overseas and want to try a different destination or you have a friend who you think may interested – we encourage you to come along and learn all the exciting destinations to which we offer employment! 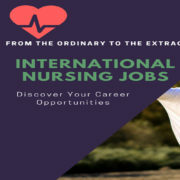 The beauty of the Australasian branch of CCM Recruitment International is that all our recruiters have lived and worked overseas as nurses and know exactly what it’s like to be in your shoes – trying to decide where to go and researching the process, going through the application and relocating – we’ve done it all. 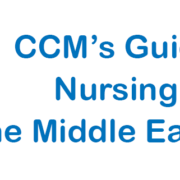 Dawn Jenkins – an Irish Nurse who lived and worked in Saudi Arabia for 2 years, met her husband, moved to Australia and started the CCM Australasia branch of CCM Recruitment International. Like we said, we know what it’s like to be in your shoes – So come meet us and ask us about our experiences, relocating and the application process. If you have any friends or colleagues who you think might be interested in, bring them along as well!